Town of Yonkers, Westchester County, New York. 1 : 39600 Beers, Frederick W.
Yonkers and East Chester, Westchester County, New York. 1 : 23760 Beers, J.B.
Plans of Parts of Piermont, Sparkill, and Palisades, N.Y. and Harrington, N.J.
Westchester, Double Page Plate No. 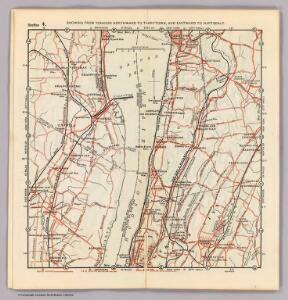 21 [Map of village of Hastings, Village of Dobbs Ferry, Village of Irvington] / prepared under the direction of Joseph R. Bien, from general surveys and official records.